The sun is shining. Campus is practically empty. Summer is here! With the freedom from classes comes a breath of fresh air, triathlon season is in full swing, the Aces are in town this weekend, and my commitments have lessened for the next three weeks. Summer is always a busy time but it’s a different busy compared to the grind of the semester taking its toll on me mentally and emotionally. Thankfully, the warm weather and sunshine provides a great window of opportunity to do the things I love, which would be training outside! Swimming, biking, and running is so much more meaningful in the basking glow of a toasty sun than it is during a chilly day. I don’t know what this summer has in store for me. I’m sure there will be plenty of adventures at the lake, baseball games, rib cook off, and other fun things. I do know that it has a trip to Vegas, two half Ironman races (road trips! ), and numerous other summery things. I just hope that school doesn’t get in the way… of course I want to get my MBA next May. I just hope that summer school was the appropriate decision and that I don’t burn out early. 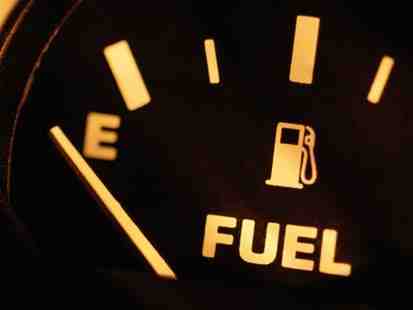 That said, I’m running on fumes. My tank is empty… R&R is something of a humorous and impractical thought because it’s just hard to make happen. Yes, I need it. Yes, I’ll die without it. But when the heck am I going to schedule it!? Clearly, that thought in and of itself is the problem. It needs to be a part of my regular routine not something that has to be forced or penciled in. It’s very weird for me to look back to last year and think about all that happened during it. Skydiving, races, awesome trips, blessed with an awesome girlfriend, starting my MBA, the list goes on and on. This year is different. This year contains awesome things but I don’t yet know what it holds in store or what those “things” are. I’m perfectly content in “only” having my races. Fortunately, there are tons of other fun things in store as well, they just might not be on my calendar or on my dreaded to do list. As someone who needs to know, well, I need to know! Haha. It has its pros, and lots of cons, but I’m wired that way. Sue me! I don’t think that my thought process ruins my enjoyment of things that happen spontaneously, but it could certainly hinder my appreciation of those. I hate going with the flow. I hate change! And this summer will be full of both of those. Of course i can’t predict or anticipate the future, but sometimes a peek down the road would be nice… the more I write, the more it seems I don’t always follow my own advice, such as just letting things happen. I guess there’s always something to learn, isn’t there? Next The Tech World is Abuzz – How Can You Stay Afloat?